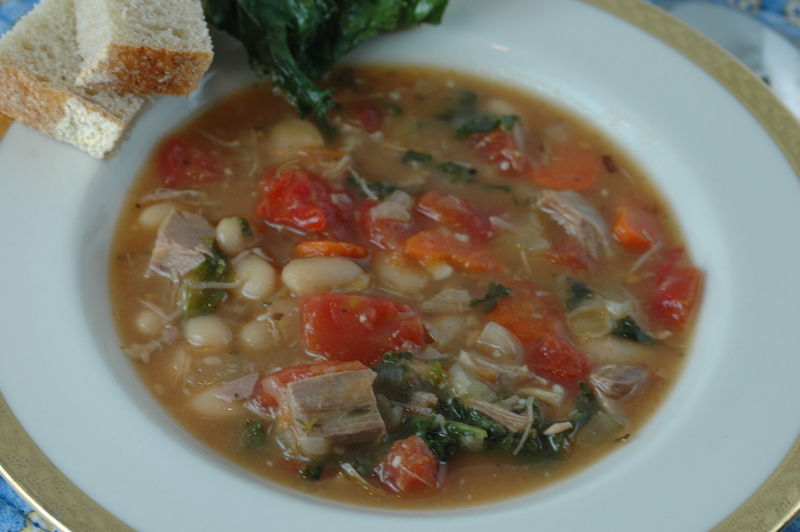 Since it is cold and raining outside, making a soup from roasted duck, kale and white beans sound good. It is time to use up what is in the refrigerator. Saute the onions and carrots in oil for 3 minutes, add the garlic, potatoes and thyme, stir. When the onions are translucent, add the stock and bring to a boil. Add the duck and the white beans, bring to a simmer. Add the tomatoes, simmer for 5 minutes. Stir in the kale and simmer for 5 minutes more. When the carrots and potatoes are done, adjust the seasonings with salt and pepper. Serve with good bread and crispy kale chips. This entry was posted in Recipes, Southern Cooking and tagged Canned tomato, Carrot, dinner, Duck soup, food, Kale, Olive oil, uses for leftover duck. Bookmark the permalink. It may be left-overs, but it looks absolutely delicious. Thank you Susan. The potato in the soup thickens it nicely. Also that carrot photo is gorgeous! 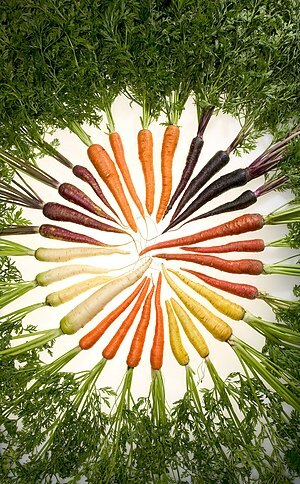 Can you believe carrots are like a box of crayons?! I love it! Sometimes dishes made with leftovers come out surprisingly good. This looks yummy.